The leading clinical journal in the field, Anesthesia & Analgesia is the official journal of the IARS as well as the professional medical societies below. Members of Journal Affiliate Societies also receive special discounts for IARS membership. The Society of Cardiovascular Anesthesiologists is an international organization of over 6,000 cardiac, thoracic, and vascular anesthesiologists that promotes excellence in clinical care, education, and research in the subspecialty. Anesthesiologists and other health care professionals are encouraged to explore our site and learn about our educational and scientific meetings and on-line content. Our on-line newsletters and digital video library are excellent sources for enhancing your knowledge of cardiac, vascular, and thoracic anesthesiology. The American Society for Enhanced Recovery (ASER) was founded in 2014. It is a nonprofit organization with an international membership, and is dedicated to promoting the practice of optimizing patient preparation and recovery through education and research. 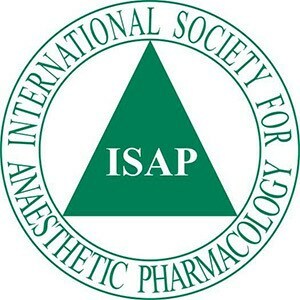 The International Society for Anaesthetic Pharmacology (formerly the Society for Intravenous Anesthesia) is a nonprofit organization with an international membership, which is dedicated to teaching and research about clinical pharmacology in anesthesia, with particular reference to anesthetic drugs. SAM was created by a group of physicians dedicated to the practice, teaching and scientific advancements of the field of airway management. SAM was created as an interdisciplinary forum of physicians and non-physicians who practice airway management and contribute to its scientific advancement by encouraging new technologies, research, education and teaching. The Society for Ambulatory Anesthesia is one of the fastest growing anesthesia organizations, responding to the education and research needs of perioperative physicians practicing ambulatory anesthesia. Founded in 1985, SAMBA enjoys a membership of over 2,000 physicians who actively practice ambulatory anesthesia, other health professionals with an interest in ambulatory anesthesia, and residents in training. 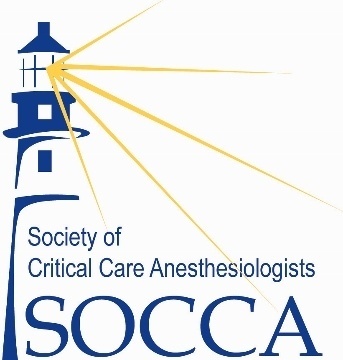 The Society of Critical Care Anesthesiologists (SOCCA) formerly American Society of Critical Care Anesthesiologists, was founded in 1986 to address the unique concerns of intensivists before the American Society of Anesthesiologists. The founding members of SOCCA believed and continue to believe that multidisciplinary critical care medicine is a desirable goal. SOCCA’s mission is dedicated to the education of anesthesiologists in the care of critically ill patients and to foster the knowledge and practice of critical care medicine by anesthesiologists. This will be accomplished through education, advocacy and community. The Society for Obstetric Anesthesia and Perinatology (SOAP) was founded in 1968 to provide a forum for discussion of problems unique to the peripartum period. SOAP is comprised of anesthesiologists, obstetricians, pediatricians, and basic scientists who share an interest in the care of the pregnant patient and the newborn. The mission of this society is to improve the pregnancy-related outcomes of women and neonates through the support of obstetric anesthesiology research, the provision of education to its members, other providers, and pregnant women, and the promotion of excellence in clinical anesthetic care. 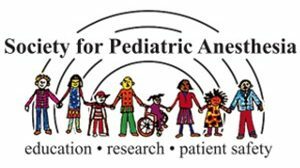 The purpose of the Society for Pediatric Anesthesia is to continually advance the safety and quality of anesthetic care, perioperative management, and alleviation of pain in children. 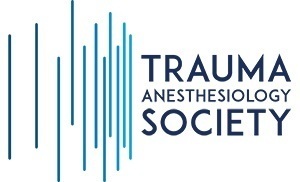 The Society for Technology in Anesthesia (STA) is an international organization of physicians, engineers, students and others with an interest in anesthesia-related technologies. Membership is open to all who are interested. 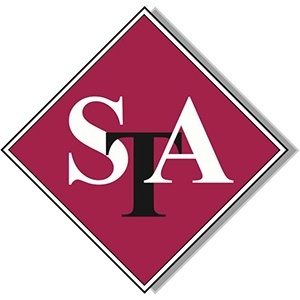 The journal, Anesthesia & Analgesia is STA’s official publication. A quarterly newsletter, Interface, is published and available online. The goal of the Society for the Advancement of Blood Management is to work toward incorporating patient blood management modalities into clinical practice and help the public and medical communities to embrace the benefits of simple, safe and effective patient blood management strategies. The mission of SASM is to advance standards of care for clinical problems shared by Anesthesiology and Sleep Medicine, including perioperative management of sleep disordered breathing, and to promote interdisciplinary communication, education and research in matters common to anesthesia and sleep. To improve patient care, and access to safe anaesthesia, by uniting anaesthesiologists around the world. The WFSA delivers its mission through programms that are implemented in partnership with National Societies of Anaesthesiology and other organizations that share its objectives. WFSA works with the World Health Organisation (WHO), with governments, with other standard setters, with surgical organizations, with NGOs, with hospitals and with training centers and welcomes partnerships with organizations that support safe surgery and recognize that safe anesthesia is an essential element of the same. SAGA is dedicated to improving the care of the older patient coming to surgery. The Member Services team is here to help you make the most out of your membership to IARS.